What Granite Stones make a Strong Statement? Countertop fabricators need to make sure that they have a wide inventory of all the available natural stone colors on the market. While veiny white marble or Super White quartzite appeals to many homeowners today, it is also equally important to have a range of strong color choices available. Part of what makes granite such a popular and unique stone is simply the fact that there are so many color ranges naturally available. Quartz can promise to create a wide range of pigments, but since these do not occur naturally, they are far less majestic and noteworthy. Granite is widely known to be considered a piece of art installed in your kitchen or bathroom, and allows you to create a wonderful statement in your home. The natural stone industry sees a large demand for so many different types of stones, and that is where Slabmarket can help you fill in any gaps in your inventory. A homeowner cannot be sure that they are selecting the right kitchen countertop if they are not presented with a full range of color options. More and more homeowners are employing online tools like Marble.com’s design planning tool to influence and develop their home design plans. Slabmarket.com has one of the largest inventories of natural slabs in the area and allows fabricators to fill their containers with a range of slab options rather than insisting that each container is filled with the same type of stone. Homeowners repeatedly install granite kitchen countertops because of its durability. Granite performs well in a high-traffic kitchen and only requires sealing 1-2 times a year. You can clean granite with a simple mix of soap and water or you can use a product we recommend that Mr. Stone sells called AGM Daily Cleaner. The product contains a small amount of sealant so it can seal the counters a bit each time you clean. Slab yards should consider keeping some cleaning products and sealants at their yards to help instruct their customers on the best products to keep their stones looking great. White kitchen countertops create a wide expansive feeling in a kitchen but colored countertops make more of a dramatic statement. 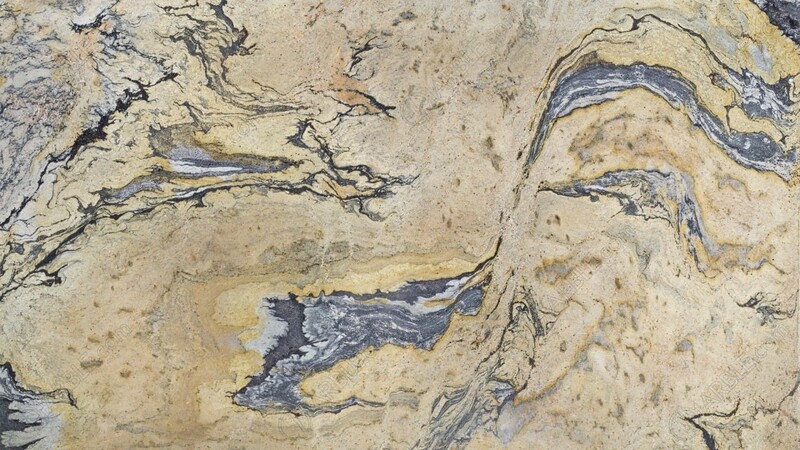 There continues to be a strong demand for colored granites that are complete with the characteristic swirls and patterns that granite is known for. The increasing number of useful online planning tools that allow you to map out the design of your kitchen like Visualizer+ 2D and 360° design planning tool. It could be argued that more and more homeowners choose the more dramatic stones on the market after using an online planner because it is easier to make the design leap when you can visualize it first. 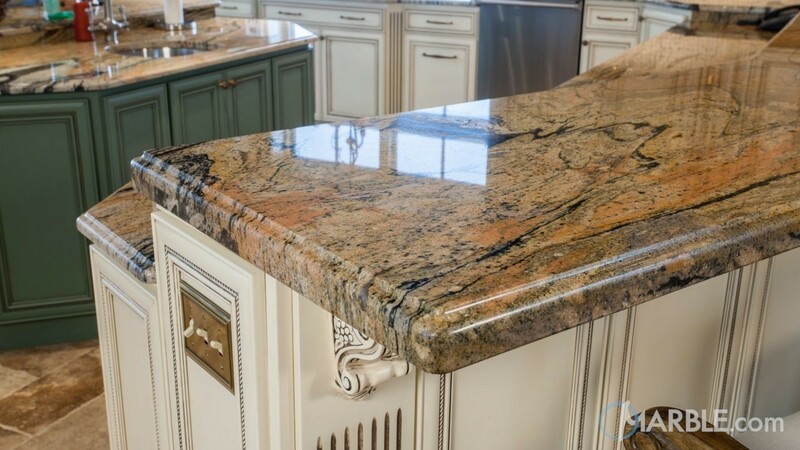 That being said, countertop fabricators may see an increase in demand for the more striking granite stones on the market, and you will disappoint your customers if you do not have a full inventory of popular granite colors. Altair Granite: A dark black stone with snake-like veins of orange, gold, and red that weave across the slab. Lapidus Classic is light beige colored granite stone with orange and black leopard spotting. Van Gogh granite, contains many of the colors that are in Van Gogh’s famous Starry Night painting. It is considered one of the more unique and richly colored natural granites on the market. Many customers look for countertops that make a strong statement in their kitchen. The granite stones mentioned above will definitely become the focal point of any room. So, add some attention grabbing slabs to your inventory and they will surely make a statement in your slab yard. Take a look at one of our favorite kitchen's from Marble.com with granite installed!